Chalk another one up in the 'bound to happen' category as Kristy Lee Cook from the 2008 edition of American Idol has been signed by Sony/BMG and 19 Recordings to a record contract. In support of their July 22 album release, Sugarland will kick off the 25 city nationwide LOVE ON THE INSIDE tour beginning in Asheville, NC on September 13. The tour will feature special guests Kellie Pickler and Ashton Shepherd. A big week for Miranda and Blake? According to today's mediabase chart that follows airplay, Blake Shelton has jumped into the Top spot on the charts with his cover with the Michael Buble' song "Home" while Miranda Lambert has finally had a single reach the Top 10 with "Gunpowder & Lead." During a concert at the White River Amphitheater near Seattle, Washington, Tim McGraw noticed that a drunk 'fan' hit a female fan and when that happened, he immediately called security to get the drunk dude out. Check out the video. Eric Durrance has seen the highs and lows of the music business and after a time as the leader of the successful Christian band Big Dismal, he has returned home to his country music roots. In the process he got his label of nine years to join him in Nashville. Wanna win some free swag from Rascal Flatts and the Sundance Channel? Then check this out. Rascal Flatts appears on "Live From Abbey Road" on Thursday, June 26. 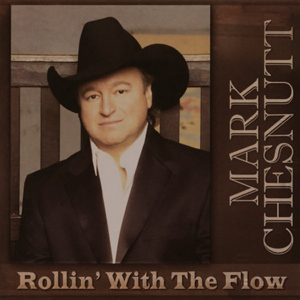 Mark Chesnutt returned to the country charts with the title track and is now back with an album that is steeped in traditional country music values. In other words: It's a record with classic sounds from one of the genre's best artists. Is John Rich the Country Music Answer for Gene Simmons? There are few situations in which Gene Simmons hasn't tried to extract money from in the persuit of branding himself & his band KISS. John Rich seems to have copied his business model for the country music world. Is it a good move? There have been quite a few country records released in the past few months. Here's a round-up of album reviews from artists like Phil Vassar, Lady Antebellum, Becky Schlegel, George Strait and James Otto among others.